Is there a way to position objects on a PDF page by defining x & y coordinates rather than dragging it with the mouse? I'm a neat-nik (aka OCD) and want the boxes, wherever I place them, to be perfectly aligned with other boxes in the document. So with four columns, any box I place on any page, should be of uniform width and positioned at one of only four horizontal (x-axis) locations. The y-axis positions (ie top and bottom borders of each box) are variable depending on which rows of text I want as the beginning and ending of the enclosed text. I've got the Rulers & Grid displayed but even after copying an existing box from one page and pasting it as a new box on another page, I still have to use the mouse to place it precisely where I want it. It would be very helpful if I could define the (pixel) position of the box's upper-left corner by entering x & y values somewhere and also define its height with another value — similar to how you can do that for an object in PowerPoint using the Size & Position settings. 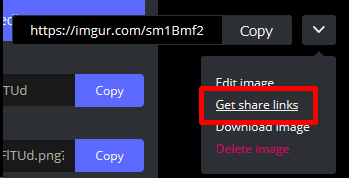 PS Is there a way to include an image in-line rather than only pasting its URL? I tried enclosing the above URL in image tags but in Preview mode, that resulted only in a small nondescript block rather than displaying the image itself. Regarding the X & Y coords, I'm afraid that this isn't currently possible but is something that I believe that we're considering adding. Thanks for the reply Will. Yeah, x & y coord positioning would be a very helpful feature.